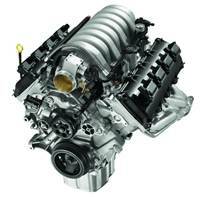 VW Golf Engines Supply & Fit at Low Prices, Upto 50% Off Now! If your VW Golf engine has broken down and you are stuck in the middle of nowhere, don’t worry help is at hand; just give us a call and we will be there for you. Garage 777 offers a problem free VW Golf engine supply and fit service, we can recover your vehicle from roadside or your door step and take it to our garage to replace the old faulty engine with a perfectly working high quality reconditioned or a low mileage used engine. All the engines supplied come with warranty and the engine fitting is done by our expert staff in our fully equipped state of the art garage. After our quality control team is satisfied we deliver your car, van or truck to your door or you can pick it up from our workshop. For a free no obligation price quote on supply & fit services, contact us now.